Amazon’s cashier-free stores allow shoppers to move through aisles picking up items such as ready-made snacks, lunches, drinks, frozen dinners, and basic groceries. When shoppers are ready to leave, they can simply walk out without having to wait in a checkout line or pay a cashier. The company is able to fulfill its “no lines, no checkouts, no registers” promise by relying on sensors and cameras placed throughout the store. These allow Amazon to track what customers take out of the store and charge customers’ credit cards accordingly. 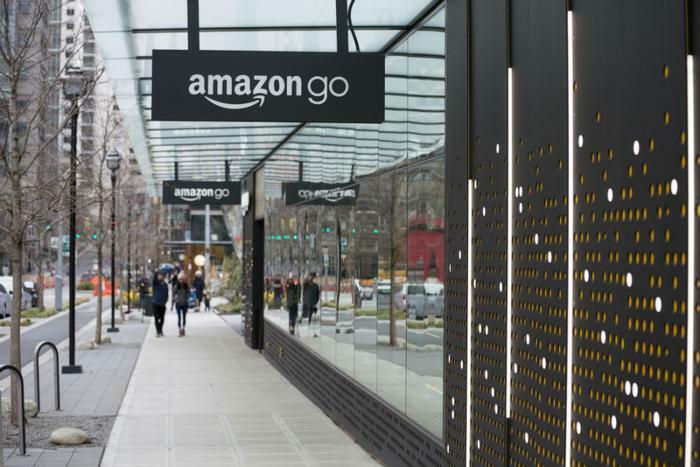 Amazon is reportedly planning to have about 10 of its Go stores open by the end of this year and about 50 locations in major metro areas by 2019, according to the report. However, the cost of setting up these physical stores is said to be a major hurdle in the company’s aggressive expansion plans. The first Amazon Go in downtown Seattle required more than $1 million in hardware to build. Launching thousands of additional locations would help Amazon expand its physical store footprint. The company already has more than more than 350 Whole Foods stores across the country. In June, Amazon agreed to buy online drugstore PillPack, which could also help it become a larger force in the pharmacy and healthcare sector.